iPhone/iPad/iPod Ended in Recovery Mode instead of DFU Mode: How to Fix? iPhone, iPad and iPod users constantly reports that their device stuck in recovery when they're trying to get device into DFU mode and do firmware update. Here in this post, we'll tell you the issue about how to fix the iPhone/iPad/iPod stuck in recovery mode when trying to enter DFU mode. The above picture shows what recovery mode and DFU mode looks on iPhone. DFU Mode stands for Device Firmware Upgrade mode. It bypasses the current OS installed and allows you to upgrade or downgrade your OS. Recovery Mode might appear on your iPhone after an update to a new firmware or when you are trying to restore a backup. Restoring your iPhone via recovery mode will delete all data on the device. (Check to see how to recover iPhone data.) If you are with iOS 9/8, the iTunes logo should be red. For detailed information between DFU Mode and Recovery Mode, check Difference between DFU Mode and Recovery Mode. What to Do if iPhone, iPad or iPod Get into Recovery Mode Not DFU Mode? When you're trying to get iOS 10/9/8/7 device in DFU mode, it's pretty easy to press the wrong key and get into recovery mode instead. If you have such issue, you can resolve it by using a free utility called Tenorshare ReiBoot or Tenorshare ReiBoot (Mac). The freeware enables you to easily enter or exit recovery mode with one click and reboot your iDevices. Updated: iOS 9 put iPhone into recovery mode, and don't know how to fix? When trying to update to iOS 9, many iPhone users ended up in recovery mode with a red iTunes logo displaying on iPhone. 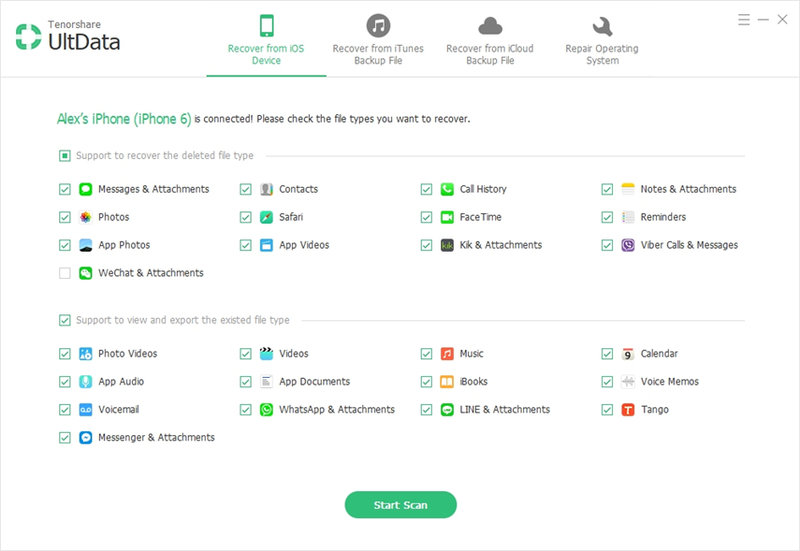 In this case (like the picture below), you can rely on Tenorshare ReiBoot to get your iPhone out of recovery mode without losing data. 1. Download and install Tenorshare ReiBoot or Tenorshare ReiBoot (Mac) from Tenorshare's website. 2. Connect your iOS devices to computer and launch Tenorshare ReiBoot. 3. When the interface appears, click "Exit Recovery Mode". This done your device will reboot. When it starts again, all should be OK.
What's more, if your device has encountered other problems such as stuck in recovery mode, Apple logo, restart loop, etc. you can also perform a reboot with this utility. Check to see How to Fix iPhone, iPad or iPod Stuck in Apple Logo with Tenorshare ReiBoot. How to Enter and Exit DFU Mode the Right Way? 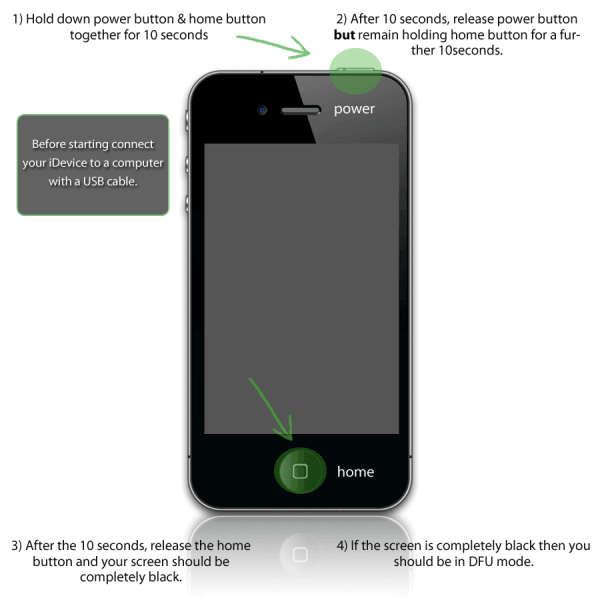 When your device is back to normal, you can then put it into DFU mode with the following steps. 1. Hold down Home and Power button simultaneously for about 10 seconds. 2. 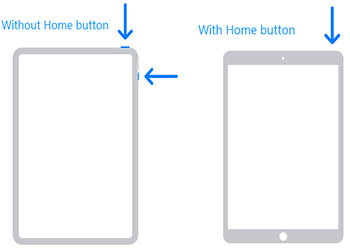 Release the home button and continue to hold the power button until the Apple logo screen comes on, signifying that iDevice is rebooting. Hope this post could help you in some way. If you like our post, feel free to share this post and the free iPhone reboot utility with your friends.